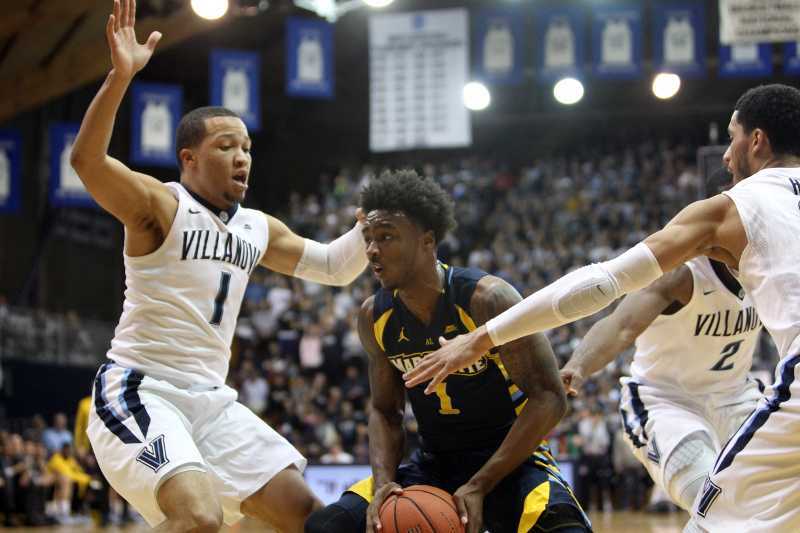 Jalen Brunson won't have to share point guard minutes with Ryan Arcidiacono this season. Player to watch: G Josh Hart – Hart was a unanimous first team All-BIG EAST selection, and rightfully so. 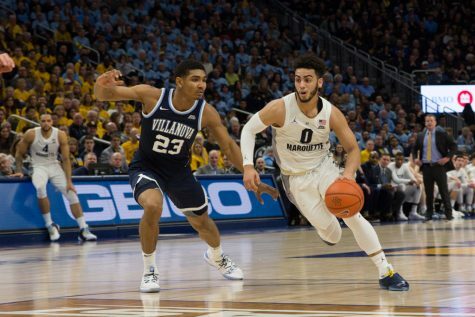 The Silver Spring, Maryland, native is the best overall player in the BIG EAST and may be the best player in the country by the end of the season. Last season, Hart averaged 15.5 points per game while shooting an efficient 51.3 percent. The preseason BIG EAST player of the year is a matchup nightmare. 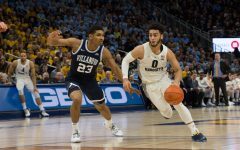 Analysis: The defending national champions have as talented of a guard pool as any team in the nation, despite losing the Most Outstanding Player of the 2016 NCAA tournament, Ryan Arcidiacono. Jalen Brunson will be the full-time point guard, flanked by Kris Jenkins, Hart, Phil Booth and NBA prospect Mikal Bridges. 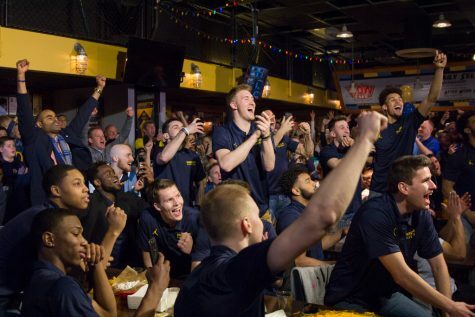 The frontcourt is where the questions are, with Daniel Ochefu graduating and top recruit Omari Spellman sitting out the season for an NCAA violation. Darryl Reynolds is the only big on the roster who played last season. Even with uncertainty in the frontcourt, the Wildcats are a top-five team. Player to Watch: G Trevon Bluiett – As a sophomore Bluiett scored 15.1 points per game in an efficient manner on his way to an All-BIG EAST first team selection. This year the 6-foot-6 junior is in the mix for BIG EAST Player of the Year as option “one A” on the preseason No. 8 team in the country. 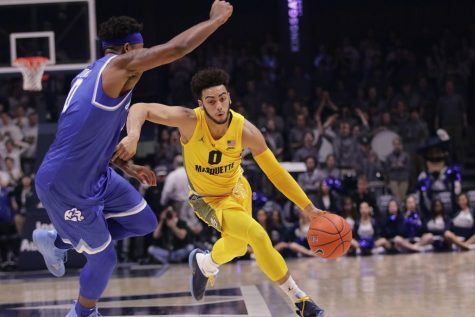 Analysis: The Musketeers enter the season as the No. 8 team in the nation in the Coaches’ Poll. Head coach Chris Mack has two consensus top-50 players in Trevon Bluiett and Edmond Sumner leading his team on the court. 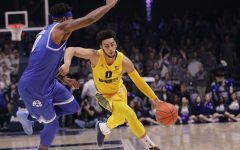 The preseason number two team in the conference has high expectations, but they have to deal with two key departures in the frontcourt, Jalen Reynolds and James Farr. Additionally, Myles Davis is not with the team and there is no date set for his return. Norfolk State transfer RaShid Gaston will play a big part in replacing the production of Reynolds and Farr, while 2016 BIG EAST Sixth Man of the Year J.P. Macura will assume starting two guard duties. Player to watch: G Maurice Watson Jr. – The former Boston University transfer had a sensational first year for the Bluejays and was appropriately awarded a spot on the All-BIG EAST second team. What the 5-foot-10 guard lacks in size, he makes up for in skill. Not only can the guard score (14.1 ppg), he can set up his teammates. Watson Jr. tallied 229 assists last season, the most in the BIG EAST. Analysis: There’s a lot of love for Creighton during the preseason, as the Bluejays are ranked No. 22 and No. 23 in the AP and Coaches’ Polls. Much of that respect comes from the high expectations for Watson, but the addition of Kansas State transfer Marcus Foster means Creighton boasts one of the better backcourts in the nation. With a fleet of useful bigs in Cole Huff, Zach Hanson and Toby Hegner, Greg McDermott has a deep, talented, balanced roster. Player to watch: G L.J. Peak – The Gaffney, South Carolina native made a huge leap from year one to year two. The junior’s points per game jumped from 7.9 to 12.3, while his shooting percentage rose from .394 percent to .491 percent. On top of that, Peak’s 3-point shooting percentage increased from .246 percent to .409 percent. Peak was already used on more than 20 percent of his teams’ offensive possessions last year. That number should rise in 2016-’17. Analysis: Another year, another set of high hopes for the Hoyas. No longer will they live and die by D’Vauntes Smith-Rivera. This team’s success will depend on the development of guys like Peak, Isaac Copeland, Jessie Govan and Marcus Derrickson. Even Tre Campbell and Paul White could have an impact if things break right. Bradley Hayes had a breakout year in 2016, posting 8.7 points and 6.7 rebounds per game. The 7-foot fifth-year senior is a reliable 20 minute per game player. Georgetown has potential. Will they deliver on it? Player to watch: F Angel Delgado – This was a toss-up between Delgado and Khadeen Carrington, but the 2015 BIG EAST Freshman of the Year won out. The 6-foot-9 center is the best rebounder in the conference, posting top-200 numbers in both offensive and defensive rebounding percentages. The junior put up near double-double numbers last year with 9.9 points and 9.3 rebounds per game. He doesn’t need many touches to score either, posting an efficient 56.7 effective field goal percentage last season. Analysis: 2016 Co-BIG EAST Coach of the Year Kevin Willard will have to cope without now-Brooklyn Nets guard Isaiah Whitehead, a unanimous All-BIG EAST first team selection last year. However, the Pirates return their other four starters and boast a talented group of four two-way players in their junior class. Angel Delgado and Khadeen Carrington will carry the load, but Desi Rodriguez is a dynamic forward and Ismael Sanogo is an elite defensive wing player. The Hall might not repeat as BIG EAST tournament champions, but they should still be near the top of the conference. Player to watch: F Kelan Martin – A BIG EAST second-team member as a sophomore, Martin was second on the Bulldogs and seventh in the conference in scoring last season with 15.7 points per game. He’s one of 20 players on the Julius Erving Small Forward of the Year Award watch list. Analysis: Butler has to fill in production from two of their biggest contributors last season, guard Kellan Dunham and guard/forward Roosevelt Jones. The Bulldogs strength is in their big men, particularly Martin, Andrew Chrabascz and Tyler Wideman. Point guard Tyler Lewis was solid in his first season after transferring from North Carolina State, with a 3.5 assist to turnover ratio. However, he struggled in the scoring department with just 5.9 points per game, shooting a measly 29.2 percent. 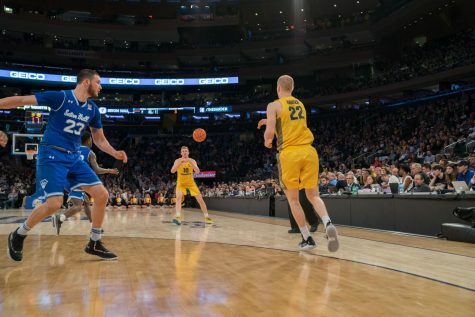 Player to watch: C Luke Fischer – The only center on the BIG EAST first or second teams, Fischer will be relied on heavily with the Golden Eagles’ small lineup. Marquette has only one other big man, Matt Heldt, who played sparingly last season as a freshman. 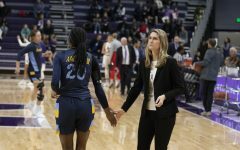 Analysis: The Golden Eagles enter year three under Steve Wojciechowski still looking for their first tournament appearance. 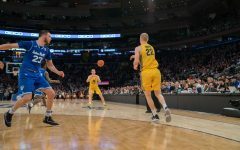 Although the team lost last year’s leading scorer, power forward Henry Ellenson, to the NBA Draft, the team boasts a plethora of talented guards. 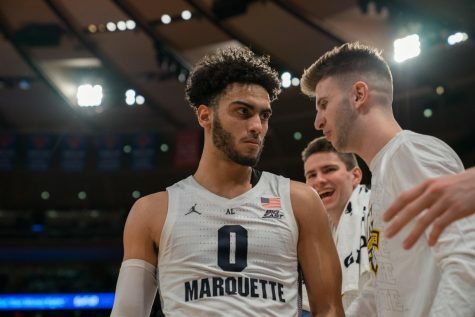 Although Fischer may be the focal point, shooting guard Haanif Cheatham has the potential to be the breakout player of the BIG EAST this season. 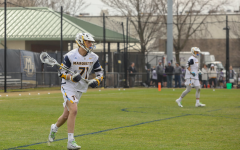 Andrew Rowsey and Duane Wilson have the ability to score in bunches and Jajuan Johnson finally started to live up to his recruiting hype over the last seven games of his junior season. Player to watch: G Federico Mussini – As a freshman, Mussini was one of the sole bright spots on a Red Storm that finished 8-24 and 1-17 in-conference. The Italian native finished with 10.7 points per game and 2.2 assists in his first year of collegiate ball. Mussini will be a crucial piece for the Red Storm going forward. Analysis: Year two under Mullin at St. John’s should be much better than year one. BIG EAST Preseason Freshman of the Year Shamorie Ponds will make sure of that on his own. Young defensive beasts Kassoum Yakwe and Yankuba Sima, along with Ponds and scoring guard Mussini, could steal some wins from teams that are further along in their development. The Red Storm was undoubtably the worst team in the conference last year, but they won’t be this year. 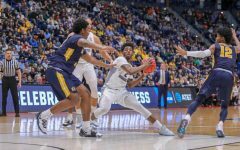 Player to watch: G Kyron Cartwright – Kris Dunn is gone, which is bad news for Providence, but it’s good news for Cartwright. The junior will suddenly have the ball in his hands as much as anyone in the conference. 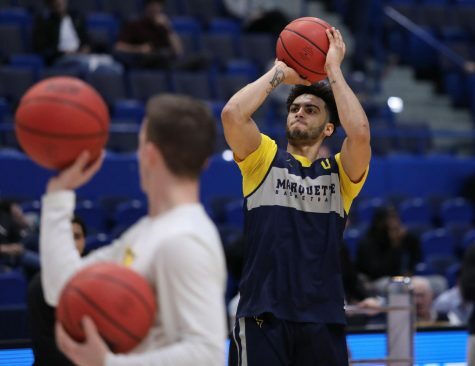 He made 36.4 percent of his 3-pointers and notched four assists per game last season, but he scored just 5.9 points per game, which will need to increase. 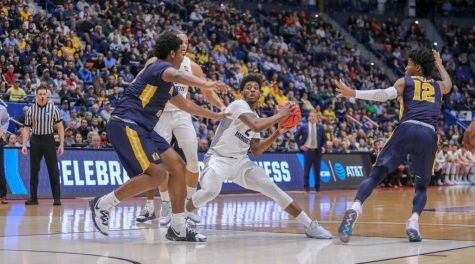 Analysis: The Friars scored their first NCAA tournament win since 1997 last season, but their success cost them Kris Dunn and Ben Bentil. 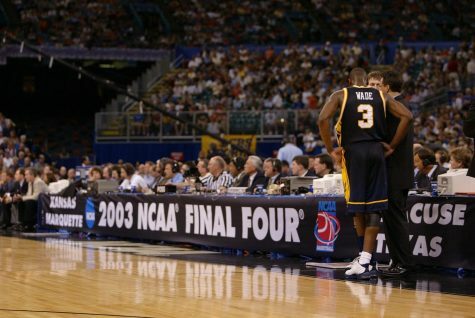 Both are now in the NBA. 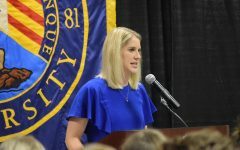 Replacing two All-BIG EAST first team players – the top scorer in the conference and the BIG EAST Player of the Year – is a huge hit. Their absence showed in the Preseason BIG EAST Coaches’ poll, where Providence was picked to finish ninth. Rodney Bullock and Kyron Cartwright will assume a big chunk of the possessions Dunn and Bentil used last season. Player of the watch: G Billy Garrett Jr. – The only Blue Demon on an All-BIG EAST team, Garrett has been the face of the program the past few seasons. The 2014 BIG EAST Rookie of the Year averaged 12.6 points and 3.5 assists last season. Analysis: The first season of the second Dave Leitao era was par for the course for the Blue Demons as of late. 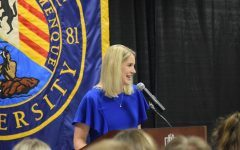 DePaul fought with St. John’s in the ninth and tenth position in the conference throughout the entire season. DePaul lost Myke Henry, last year’s points leader, to graduation and 6-foot-11 big man Tommy Hamilton, who transferred to Texas Tech this summer. 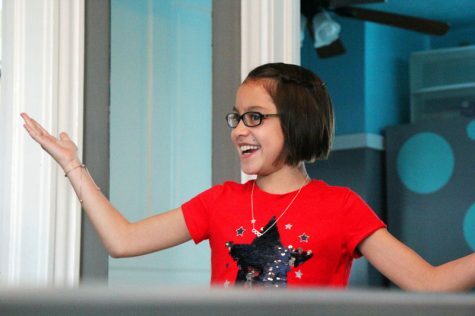 That means the team will have to rely more heavily on Garrett than they already did. 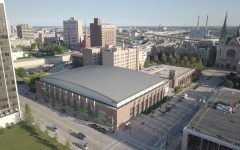 This season will be DePaul’s final year at the Allstate Arena before moving into a new facility downtown.